Hello everyone, and welcome to Gaijin Densetsu’s first News GaiDen. This is going to be a weekly news feature where we highlight the stories that we thought were interesting in the past week, all in one place for your convenient enjoyment. No more constantly hitting f5 on your favorite sites for fresh updates! We’ll do the hard work for you so you can finally get motivated, stop surfing the web at work, and start tackling that to-do list like you’ve been planning to. We’ve got a ton of Nintendo news this week, so here we go. Oh, and if there are any big news stories you think we missed, let us know in the comments! Peter: Looks like Namco Bandai and it’s e-commerce provider, Digital Rivers, have managed to over-ell their stock of Ni No Kuni Wizard’s Edition, and are now cancelling existing pre-orders. Many customers are enraged over the turn of events, and I’m pretty disappointed that the release of such a great game is being marred by the mishandling of a pre-sale. 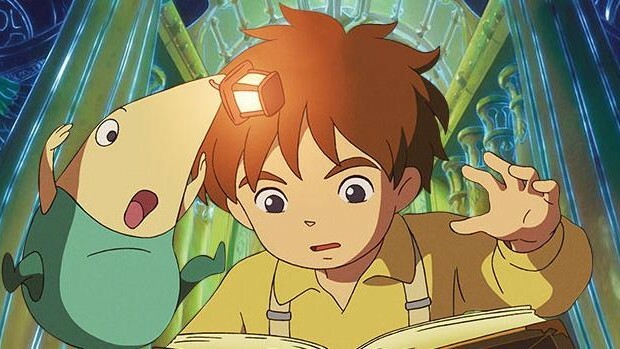 In an attempt to make things right, Namco Bandai is offering a 400-page hardbound Ni No Kuni strategy guide and a $20 Namco Bandai webstore coupon to customers who had their pre-orders canceled. Right now, copies of the coveted Wizard’s Edition are going for $400 on eBay as people scramble to pick them up. Some are even going so far as to import copies from Germany’s Amazon.de, since there is no region lock and the included Wizard’s Companion book is printed in English. Thankfully, I pre-ordered a copy through eBay this past November before the price gouging really escalated. The eBay seller has assured me via email that they will be receiving their copies next week. Apparently, when Namco Bandai started their Kickstarter-esque pre-sale of the Wizard’s Edition, this seller went all in and placed an order for 200+ units. Since Namco Bandai’s “Ninostarter” was a pre-sale, these units were made to order. So, theoretically, the seller should get every unit they pre-ordered. Peter: In other Namco Bandai news, Project X Zone, a game nobody expected to make it out of Japan due to the myriad of licenses involved, was announced for western localization. This game pits characters from Namco Bandai, Sega, and Capcom franchises together in a grid-based tactical RPG. The game is slated for a Summer 2013 release in North America, Europe, and Australia. Peter: Last weekend, Pokemon Day Chile, South America’s largest Pokemon event, was held. At this event, the Limited Edition Pikachu 3DS XL was announced for release in March. What is interesting is that the region locking on South American 3DS systems is the same as the region locking used on their North American counterparts. This announcement bodes well for customers hoping this unique 3DS XL console makes it to other American regions. Christian: I already discussed my interest in this title in a previous post, so I’ll definitely be checking out the demo. I was especially excited to learn that your progress from the demo would carry over into the full game. As a busy guy with precious little spare time to game, even 30 or 60 minutes that I don’t have to play through again is a huge bonus. Check the demo out, and know that if you’re planning on picking it up, you should pre-order so you can get the launch bonus art book and music CD. Christian: There was a Wii U focused Nintendo Direct this past week where Iwata really outlined the future of the console. I was glad to get some updates considering the current drought of must-have titles. Peter and I discussed this Nintendo Direct at length, so check out our recap where we discuss the big announcements and trailers. Peter: Nintendo of Japan’s Luigi’s Mansion 2 website went live this week with a release date of 3-20-13. North America should be expecting Luigi’s Mansion: Dark Moon to land 3-24-13. This game will feature a cooperative multiplayer mode. Peter: Nintendo’s Super Smash Bros. series game designer, Masahiro Sakurai, mentioned on his twitter account this week that he hopes to be able to show off both Wii U and 3DS versions of Nintendo’s next installment of the Super Smash Bros. franchise. Nintendo President, Satoru Iwata, did mention in his Nintendo Direct address that they will have screenshots of the game available at his years E3. Christian: Finally, an official release date for Soul Hackers. This is the first official release of this game in North America, and it will include a lot of new features specific to the 3DS. Again, Atlus is offering some incentive to pre-order, in the form of a soundtrack. I really appreciate how Atlus does pre-order bonuses, it’s like a collector’s edition lite at no extra cost.